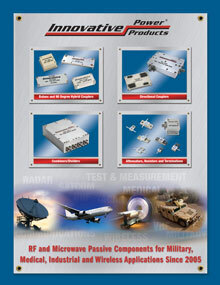 Innovative Power Products is proud that our RF Resistors,Terminations and 90 degree Hybrid Drop-In Couplers are RoHS compliant. RoHS is a directive developed by the European Union for the restriction of hazardous materials used in products shipped to the EU. The RoHS directive came into action in July 2006, and aims to restrict certain dangerous substances commonly used in electronic and electronic equipment. Any RoHS compliant component is tested for the presence of Lead (Pb), Cadmium (Cd), Mercury (Hg), Hexavalent chromium (Hex-Cr), Polybrominated biphenyls (PBB), and Polybrominated diphenyl ethers (PBDE). For Cadmium and Hexavalent chromium, there must be less than 0.01% of the substance by weight at raw homogeneous materials level. For Lead, PBB, and PBDE, there must be no more than 0.1% of the material, when calculated by weight at raw homogeneous materials. Any RoHS compliant component must have 100 ppm or less of mercury and the mercury must not have been intentionally added to the component. For questions about any of our products, please email us at sales@innovativepp.com.